“The Industrial Grade Artificial Intelligence Robot! Here you will learn how to build a very sturdy robot to take video of your house when you are not home. 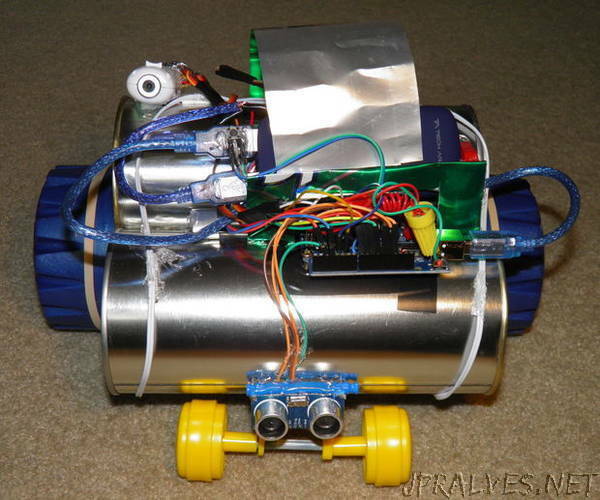 I built this robot to show people how to build cool robots without spending too much money. Most of the materials in this robot is recyclable and easy to build. The robot we will be building will be able to avoid objects, take video and move in random patterns. This way of moving can make the robot enter hallways and doorways without being too predictable like most robots. Another cool feature about this AI robot is its body is made out of metal so it is very sturdy and strong.